On May 5 the 13th Edition of the ACB Jiu-Jitsu event has taken place in Long Beach, California, USA. The world famous BJJ competition gathered some of the very best grapplers on the planet. The card had a wide range of high level matches with a few newcomers to the promotion making their mark on the mats. This was the case of Ary Farias and Pablo Mantovani, two Atos Team representatives who did extremely well against some very good opponents. A strong performance by Vinny Magalhaes took the spotlight away from the well-known Gordon Ryan, submission only’s brightest star who was debuting with the professional promotion ACBJJ. John Danaher’s student did not have an easy time finding his rhythm, being shut down constantly and immediately by the veteran grappler Magalhaes. In the 85-kilogram division Leandro Lo took control of the match from early on the first round and never gave it back, exception made to one loose armbar attempt by Gabriel Arges in the first round. Unfortunately for him and his team, this wasn’t Gabriel’s night and the title swapped hands. The big boys title match between Joao Gabriel Rocha and Marcus Almeida was not as one sided as that middleweight bout. Joao came in prepared and with a full gas tank – something that had been an issue in their previous matches, taking Buchecha to the limit of his abilities. 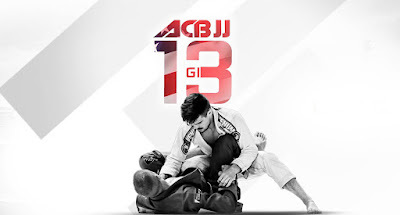 Grinding victory by the new ACBJJ ultra heavy champion.